Due to the popularity of the Chod rig and hinged-stiff rig, we knew it was important to develop a pattern to suit. The CHD boasts an aggressive out-turned eye that, unlike some other hooks, ensures your hookbait sits at a more aggressive/prone angle. Looking to buy some Hooks as part of a fishing gift? If you would like some advice on purchasing Hooks, simply contact our expert fishing team, giving us either an email or phone number on which to contact you and we'll get back to you right away with the best advice and prices. 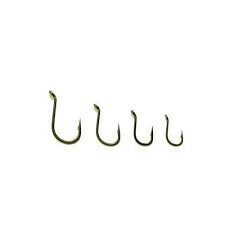 FREE Delivery on all Avid Hooks over £100!! !